that they design and deliver forestry lessons to local elementary school students. Susan takes her students beyond the academy’s walls to explore and assess community projects involving town culverts that impact water quality, fish habitat, forest health, and the local economy. While attending a Maine summer teachers’ tour, Susan learned about the intricacies of culverts from forest managers and engineers. She went on to write a stream crossings lesson and shared this STEM unit with the PLT network. When a spruce budworm outbreak was observed in nearby Canada, Susan designed and shared a unit of study on this critical issue. 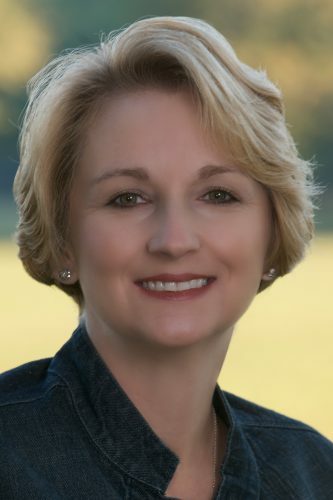 Susan was named a National PLT Leadership in Education Award honoree in 2018. Deanna advises an after-school science club and serves on a number of school district committees. She has helped design and review PLT’s educational materials and teacher professional development. As a PLT workshop facilitator, she demonstrates for her peers how PLT can be applied in their classrooms to meet academic standards. Deanna was named National PLT Outstanding Educator in 2015. 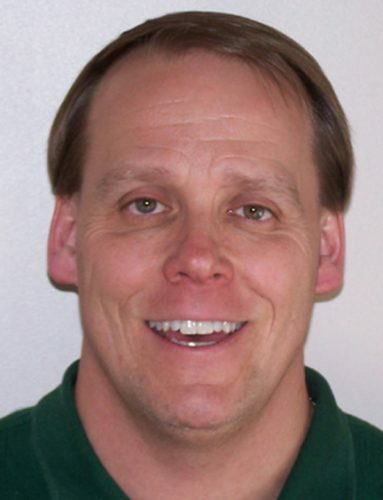 Michael (Mike) Sustin, an Ohio science teacher for 24 years, teaches environmental science and chemistry. He established and coaches the school’s Envirothon team and leads other extracurricular activities, such as summer ecology expeditions and an after-school Nature Club for fifth graders and their high school mentors. As a facilitator of PLT professional development workshops, he helps other educators integrate environmental education into various subject areas. Through Mike, students are involved in innovative projects that extend beyond the classroom walls. They have planted trees, created rain gardens, and constructed an outdoor learning lab on school grounds. They lead recycling, composting, and energy-saving programs. They worked with the Ohio Division of Wildlife to develop a bobcat and black bear population study and were honored by the National Wildlife Federation for a wetlands project. In 2012, Mike went to the Arctic Circle as a National Geographic Grosvenor Teacher Fellow. In 2014, he traveled to Alaska after being selected by the National Park Service and No Barriers Youth as a teacher-leader for their inaugural Climate Change Academy. His passion for engaging students in learning about and developing an appreciation for the environment has resulted in numerous awards. In 2014, West Geauga High School was recognized as a Green Ribbon School by the U.S. Department of Education, and Mike received the Presidential Innovation Award for Environmental Education. 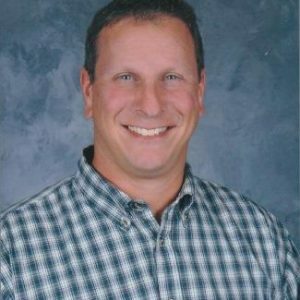 Mike was named National PLT Outstanding Educator in 2015, as well as National PLT Outstanding Educator Honoree in 2014. Michael Hotz teaches a range of science subjects at Wyandotte High School and incorporates environmental education into all the courses he teaches, with PLT at the core. In 2006, he helped his students form a Green Team to become a PLT GreenSchool. His students developed an outdoor classroom, raised garden beds, and aquaponics system. Under his leadership, they launched a “Save a Teacher” Campaign to save enough energy to make up the cost of one teacher’s salary when Wyandotte was faced with the threat of staff cuts due to budget shortfalls. They instituted many energy-saving projects and were able to meet their goal. He and his students mentored another PLT GreenSchool in the district. Michael regularly gives presentations and trainings to encourage other teachers to use PLT. Michael was named National PLT Outstanding Educator Honoree in 2015. Donald (Don) Sprangers teaches biology, chemistry, and other science courses at Washington Academy and is also an adjunct faculty member at Lesley University and the University of Maine, Machias. Since coming to Washington Academy in 1992, his classes have been marked by hands-on field work and service learning. He has motivated many of his colleagues to integrate PLT into their teaching. For the past five years, he has hosted PLT workshops for pre-service teachers and uses PLT GreenWorks! as an example of how to develop service-learning projects. He is the founding force behind Maine’s Forest Inventory Growth project, which is based on PLT. Don was named National PLT Outstanding Educator Honoree in 2015. Sara Forness finds creative and effective ways to involve her students in the community, from conducting research to implementing service-learning projects. Her students helped the West Fargo Forestry Department educate the public about the emerald ash borer. They also planted trees as part of the city’s Arbor Day celebrations. Sara has taught at West Fargo for the past 18 years and continues to find new ways to engage students and exceed expectations. When the state required high school students to take a third lab science, Sara created a PLT-based Field Biology course that resulted in improved test scores. She often brings resource professionals into her classroom as guest speakers. As part of a project grant, students work alongside professionals to plant and harvest fruit trees, and observe their pollinators. Sara coaches students to participate in the state Envirothon, where they have won four championships. She also helped pilot-test PLT’s Focus on Forests secondary module. Her students monitor Cheyenne River water quality and present these data to local and state officials. Their related project, called “Fish Don’t Do Drugs,” won a Voyageur Award from the International Water Symposium and is the basis of an ongoing program of the West Fargo Police Department. Sara was named National PLT Outstanding Educator in 2014. Matthew Schnabel uses PLT as a foundation for his Advanced Placement Environmental Science and Environmental/Nature Studies courses. He brings in guest speakers and introduces his students to outdoor learning through field studies at their school, national parks, local universities, and other locations. Matt encourages his students to take action to improve local environmental issues, such as soil erosion and water pollution. Matt facilitates K-12 PLT educator workshops that emphasize opportunities to apply what students learn in the classroom to real-world situations. He first participated in, and then led, the South Carolina Teachers’ Tour, an annual forestry program for teachers throughout the state. His numerous achievements include the 2013 South Carolina PLT Outstanding Teacher Award and the 2012 Lexington County Soil & Water Conservation District Teacher of the Year Award. He serves on the South Carolina PLT Steering Committee, as a regional coordinator for the Environmental Education Association of South Carolina, and in many other organizations. Matt was named National PLT Outstanding Educator in 2014. Eric Nelson incorporates environmental-based problems into his daily math lessons, making the subject come alive for students and imparting valuable environmental content. He helped his school become a PLT GreenSchool and now advises their active Green Team. Students on the Green Team implement action plans based on their investigations. They took home the top prize in the Connecticut Business and Industry Association’s competitive challenge for their efforts to save energy, reduce waste, and spread the word about environmental responsibility. Eric is also the lead teacher in Cyber-Challenge, a multi-partner program for urban high schools in the state. He maintains a strong focus on service learning and student voice. Eric was named National PLT Outstanding Educator Honoree in 2014. A former school principal in Ohio, Kathleen Yeloushan retired to Michigan and joined the Farm & Garden Club. Over the course of several years, she convinced garden club members (and eventually school district administrators) to provide PLT training for all K-12 science teachers in the area. She also works with Clarkston Renaissance High School and took the lead to bring PLT GreenSchools programming to this at-risk student population. She set up training for teachers and students, integrated PLT across the curriculum, and wrote grants to support action plans to enhance student learning. Kathleen’s students have instituted recycling and composting programs, a garden, solar panels, a bioswale, and an electronic charging station. The school is a PLT GreenSchool and a 2013 GreenWorks! grant recipient. In 2014, the school was recognized as a Green Ribbon School by the Department of Education. 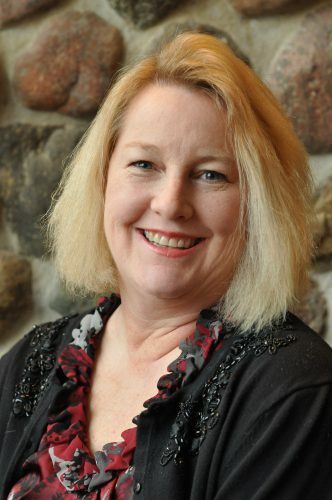 Kathleen was named National PLT Outstanding Educator Honoree in 2014. Cheri Goggin is known for her ability to make learning fun for her students and involve them in hands-on, meaningful experiences beyond the classroom. “If it’s not fun, don’t do it!” is one of her favorite teaching mottos. Her passion for the environment and commitment to positive change inspires her students. Through student-led projects, she connects youth to the outdoors and encourages them to give back to their communities. Cheri also works with other teachers, including art, photography, physical education, math, and language arts teachers, to integrate environmental education into their subject areas. Cheri’s students use PLT’s GreenSchools Investigations to investigate problems on the school campus and then devise solutions. With Cheri’s assistance, students have written and received grants to provide funding for a rain garden, outdoor learning stations, and a native species habitat. They have installed bird stations on campus and regularly participate in FeederWatch and other backyard bird count programs. She also involves students, teachers, parents, and school administrators in making their school more green and healthy. Cheri was one of the first educators in Ohio to be trained in PLT. 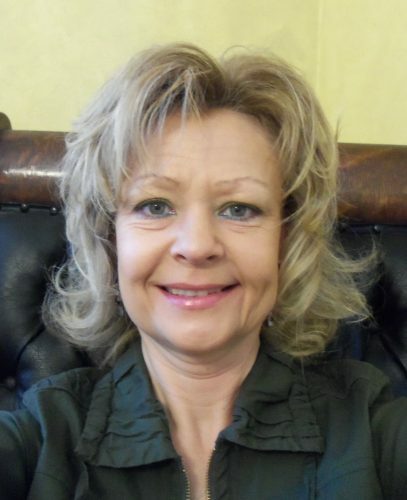 Now a PLT facilitator, Cheri participates in many other environmental education programs and workshops, including programs with the Geauga Soil and Water Conservation District and Ohio Department of Natural Resources. She was honored as the 2011 Ohio Conservation Teacher of the Year by the Ohio Federation of Soil and Water Conservation Districts. Cheri was named National PLT Outstanding Educator in 2013. Meera Varigonda has a strong background in urban planning and community design. She came to the United States from Canada, where she was a land use planner and college instructor. She first became involved with PLT as a reviewer for the Places We Live module and has since become an active facilitator and presenter. She is helping to coordinate the PLT GreenSchools program with high schools in San Diego. At Oak Valley Middle School, she works with students in grades 6 to 9 in a multi-language classroom and uses PLT activities with her students. She has also introduced PLT to the California’s Building Healthy Communities Initiative and the California After School Network. Meera was named National PLT Outstanding Educator Honoree in 2013. Rob Taylor uses the outdoors in creative ways to increase students’ understanding of science and engage them in opportunities for leadership in their community. He serves as Gifted and Talented Coordinator and Science Teacher for the elementary, middle, and high schools in Jay, Maine. Using grants that he obtained for Jay Middle School, including a PLT GreenWorks! grant, he involved students in creating a greenhouse, powered by solar energy, to grow food for the school cafeteria. They are now constructing a wind turbine and creating a composting program. Earlier in his career, Rob introduced a six-week outdoor segment into his science curriculum. Since then, he has used PLT to engage students in learning about the world around them. For many years, he has involved students in improving the Jay Recreation Area, a 200-acre municipal property next to the school. The students are now taking the lead in planning a well-managed timber harvest, which will bring in more than $150,000 to the Town of Jay to support recreation. Rob is also a long-time advisor for Jay’s Envirothon teams. The teams are top competitors and were Maine’s state champions in 2009 and 2010, representing the state at the Canon International Envirothon. 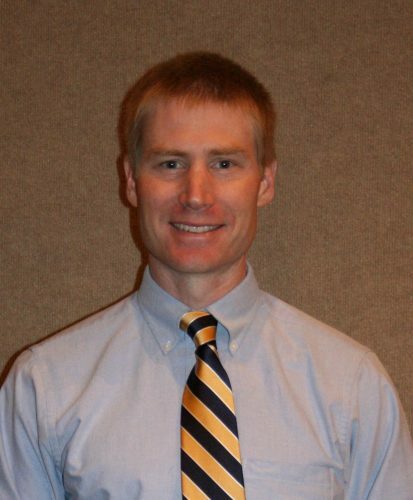 Rob was named National PLT Outstanding Educator in 2011. Once Joy Cowart experienced PLT’s hands-on activities, she was hooked. As a teacher of English for Speakers of Other Languages for grades 6-12 at Lowndes County Schools in Valdosta, Georgia, she uses PLT to teach language arts, English as a second language, literature, and more. She uses PLT’s reading and writing strategies and multi-disciplinary activities to increase her students’ vocabulary, reading comprehension, and writing skills, while at the same time increasing their awareness and knowledge of environmental issues. Through a PLT GreenWorks! grant, Joy involved Hahira students in an environmental service-learning project to landscape their public library. She also uses PLT’s hands-on activities as a Sunday school teacher, at summer camps, and in a Migrant Summer School curriculum. Now a PLT facilitator, Joy has conducted more than 25 workshops at Valdosta State University, training more than 1,000 future science teachers how to use PLT’s environmental education lessons. Joy earned her bachelor’s and master’s degrees in middle school education and also has a master’s in educational leadership. She became a National Board Certified Teacher in 2008. Joy was named National PLT Outstanding Educator in 2010, as well as National PLT Outstanding Educator Honoree in 2009. Amber Hodges provides classroom presentations, after-school programs, and interpretative programs, reaching about 1,800 K–12 students per year. As a result of her efforts, PLT was adopted by the new city-wide magnet school for environmental education. Amber conducts workshops in the Roanoke Valley area and at the annual meeting of the National Camping Institute. She helps other extension agents and PLT educators conduct workshops and promote PLT. Virginia’s Governor Bob McDonnell congratulated Amber on her PLT Outstanding Educator Honoree Award at a special ceremony during the Virginia Forestry Association’s Annual Convention. Amber was named National PLT Outstanding Educator Honoree in 2010. Olivia Griset became a classroom teacher, in part, to help children to learn about the environment. She studied at Utah State University and moved to Maine in 2003 to work for the Maine Audubon Society. She now teaches biology, oceanography, and field ecology to grades 10 through 12 at Lisbon High School in Lisbon Falls. Olivia continually looks for hands-on, relevant ways to teach her students about the environment. Through a partnership with a local sawmill and the Maine Forest Service, she created a forestry field program for her students. Partners of this initiative are together designing “From Roots to Retail,” an adult education program to show teachers how they can best explain sustainable forest management to their students. Olivia also implements Maine’s Forestry Inventory Growth (FIG) program, based on PLT’s Forest Ecology module. This program uses an online data system to allow students in different schools to compare data and monitor changes over time. With Olivia’s leadership, this hands-on investigation tool has lead to practical learning, directly impacting many student lives. Her passion for the outdoors is legendary. As one student says, “Almost every weekend she goes on a spectacular science journey. Whether a simple mountain biking trip or a crazy storm surfing adventure, she brings back hilarious yet educational stories that force the class to enjoy…the science field.” As a PLT facilitator and consulting teacher to a grant awarded to PLT and the University of Maine, Olivia trains other teachers to use PLT in their education work and stresses the importance of getting students outside. Olivia was named National PLT Outstanding Educator in 2009. Hilary Hargrove uses PLT in her physical science, ecology, and environmental science classes and to prepare her students to participate as a team in the annual Envirothon. In their first two years of competition, they received top regional honors. She also serves as an advisor to Riverdale’s environmental club. Hilary’s first exposure to PLT was when she was a high school student herself! She went on to study science in college and became trained in PLT while student teaching. Since she joined the teaching staff at Riverdale in 2003, her students have established an outdoor classroom, reclaimed wetlands on school property, improved walking trails, and planted native trees and other vegetation. Her students are often found outdoors learning in the environment they help to maintain. 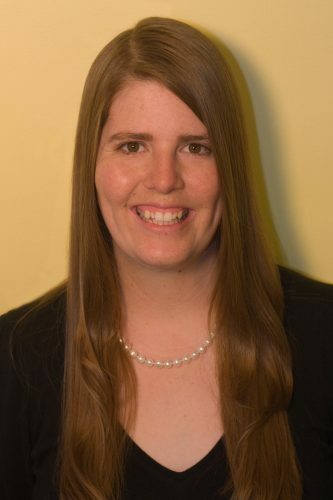 Hilary was named National PLT Outstanding Educator Honoree in 2009. Ina Ahern teaches chemistry, physics, and environmental science to grades 10-12 at Plymouth Regional High School in Plymouth, New Hampshire. Her passion for and commitment to the environment led her to make local issues a large part of her curriculum through an integrated, place-based, and hands-on approach. A high school science teacher for 25 years, Ina often makes presentations to other educators about how to incorporate the local environment into teaching. 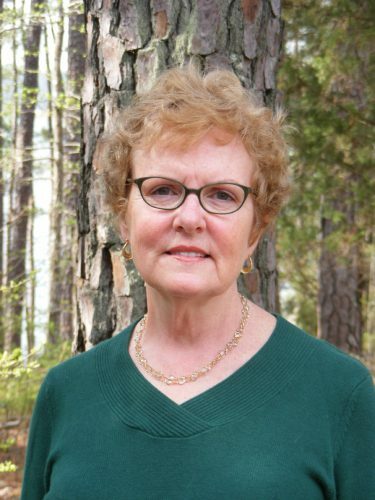 In 2006, she was one of a pioneer group of teachers to participate in the year-long program “A Forest for Every Classroom,” co-sponsored in New Hampshire by PLT, the U.S. Forest Service, and Hubbard Brook Experimental Forest. She has formally presented her experiences with the program to incoming teachers. She also used her “Forest for Every Classroom” experience to strengthen the field-study project her students conduct on their local watershed each year, building strong ties between the school, its community, and local natural resource professionals—a great reflection of how PLT materials can best be used. Ina embodies the ethic of lifelong learning and works hard to foster this love of learning in her students. For her, the outdoors is an extension of the classroom, and studying the natural environment and the local community is a key strategy for bringing academics to life. Ina is committed to making environmental education a part of New Hampshire schools. Last year, she participated in a summer institute to sequence and correlate PLT activities (along with the environmental education materials from four other programs) to New Hampshire’s science frameworks for grades K-12. She also participates in the Merrimack River Watershed Ecology program and collaborates with the Hubbard Brook Experimental Forest to adapt their biogeochemical forest ecosystem research for the high school classroom. Ina was named National PLT Outstanding Educator in 2008. Kathryn Roberts has been actively involved in environmental education ever since she established Lakeside High School’s first outdoor classroom in 1977. 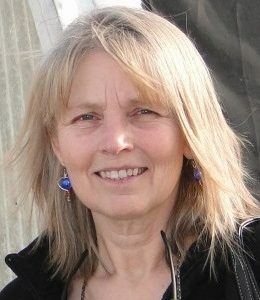 In 1996, she introduced Environmental Science as an elective course. More recently, she received funding from the EPA to construct a greenhouse and aquaponics center, and she acquired funds from the Arkansas Game and Fish Commission for a schoolyard habitat and new outdoor classroom facility. Kathryn’s students have partnered with the school PTO, the Alumni Foundation, and a local Rotary Club to build and maintain their outdoor study area. Kathryn has received funding to host the first annual Dendrology Fest this fall, an event that will include activities on tree identification, dendrochronology, and leaf types for grades 5-7. Trained as a PLT facilitator in 2004, Kathryn has hosted advanced PLT/WILD/WET workshops that incorporate GIS/GPS programming and Nature Mapping. 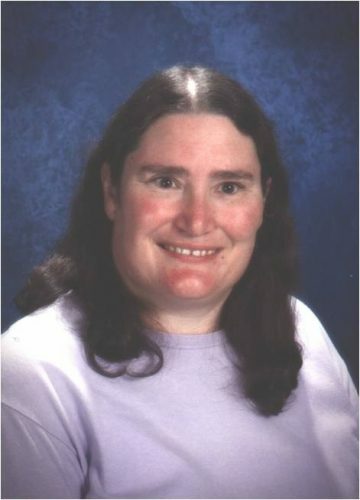 Kathryn was named National PLT Outstanding Educator Honoree in 2008.